A huge chunk of our day is spent on walking, especially so if you wake up for a walk as your daily dose of endorphins. On average, a person stands for about five hours a day and takes 10,000 steps. On a daily basis, our feet several times our body weight for each step they take. Our feet carry our weight, while absorbing shock and maintain balance. While they are designed with about 26 bones and 33 joints along with a hundred muscles, ligaments, and nerves, they can also experience pain from the stress they receive. And this cause pain on top of foot when walking. Walking is an important activity as it assists in building a healthier lifestyle and at the same time a mode to accomplish our day to day activities. This is the reason why a pain on top of foot that arises when you walk brings so much discomfort and trouble. So what exactly causes the usually sharp pain on top of the foot when walking? We have the answers. Below are some of the most common and basic questions that we think one has to know for overall wellness. 1 What causes pain on top of foot when walking? 2 What does it mean if the pain radiates to outside of the foot including the sides of the foot? 3 How to treat top of foot pain when walking? What causes pain on top of foot when walking? There are a variety of reasons why you may have woken up to a sore top of foot this morning. We might have learned that getting a well-fitted or appropriate footwear is a must, otherwise it becomes the main culprit for any type of foot pain particularly that can be felt on top of the foot. Apart from an improper and tight footwear, other causes of such pain could be any of the following. If you have been walking a lot or used to stand in your feet for a long period, your pain could then be a result of excessive stress or pressure to the feet. Your metatarsal bones, which refer to the five bones in front of your foot, may be experiencing some crack or small breaking. This is more common to people who are in high intensity activities like dancing and athletics. Increase in activity level such as when you have suddenly forced yourself into long and fast walks could lead to metatarsal stress fracture. The top of the foot may also swell. Another source of pain on top of the foot when walking is the midfoot arthritis. Midfoot arthritis is the damage to the joints in the middle of the foot. It is basically caused by either a trauma or injury, or loss of cartilage. If you have had a sprain or midfoot dislocation, this could eventually turn into arthritis after some time. The range of motion involving the midfoot may result to wear and tear of the cartilage. As the cartilage thins out, the bones tend to press and rub against each other causing pain. Both obesity and flat foot may likewise cause midfoot arthritis as they force the feet to flatten forcing the bones on top of the feet. Another possible cause for the top of foot pain is nerve entrapment. In this case, pressure is repeatedly applied on a particular pinching the nerves after which the nerves become irritated. 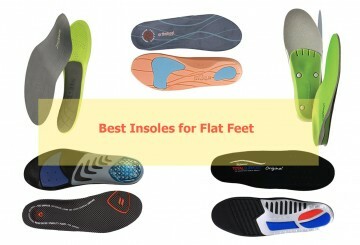 This is particularly common to people who wear ill-fitting or extremely tight footwear. If you have dropped something heavy on to the foot and thereby squashing the nerve, it could also lead to nerve entrapment. Irritated nerves can bring excessive pain that may prevent you from walking freely and properly. Dorsal compression syndrome is the pain that occurs on top of the foot as a result of the compressed dorsal joint lines in the midfoot. This happens when the arch of the foot collapses. In cases of fallen arches, the arch gets longer at the bottom of the foot as the bones shorten with added pressure. The fallen arches and pressure on top of the foot are what causes such discomfort and pain. If you observe deformity of the second, third, or fourth toe, then you may be experiencing from the hammer toe condition. From the name itself, the toe or toes are bent at the middle joint resembling a hammer. This could be a result of either muscle imbalance or consistent use of shoes that do not fit properly like the narrow-pointed shoes that squeeze in the toes pushing it to a bent position. Hammer toes causes pain on top of foot when walking. What does it mean if the pain radiates to outside of the foot including the sides of the foot? There are also cases where there is pain on outside of foot when walking. This means that the discomfort or ache originating from the top of the foot reaches to the sides or becomes a lateral foot pain when walking. One condition is the tarsal condition, which affects approximately one percent of the population. In this case, two or more tarsal bones are joined together by a bridge of bone. It is considered hereditary common to children and young adults. Another is the athlete’s foot, a fungal infection of the skin that may occur to any portion of the foot. The pain can be felt on the top, side, and even bottom of the foot. It is a result of poor foot hygiene and is more likely to occur in increased moisture situation like the use of damp socks and tight shoes. How to treat top of foot pain when walking? Allow your feet to rest giving the muscles, bones, and joints a time to recover from the stress and pressure. While giving your feet some rest, you can make use of ice pack that you can apply to the affected area. You may alternate it with a heat application to effectively relieve inflammation. There are likewise over-the-counter medications and cream or gel you can take or apply to relieve the pain. Use arch support in your footwear or better yet, swap your old shoes with footwear that provide adequate arch support. Perform some stretches that could help relieve pain and allows foot recovery. In conclusion, pain on top of foot when walking is one of the important problem. One should not take the health of their feet for granted. As soon as a discomfort or ache arises, it is mandatory that you prevent the same from getting worse. 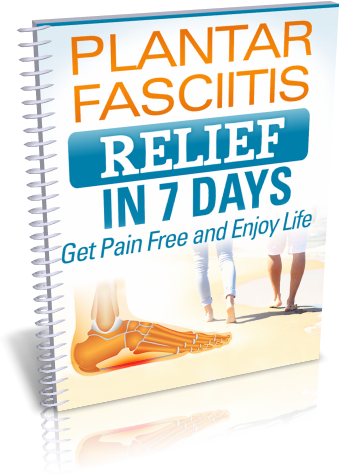 There are self-help methods that effectively reduce the pain. In case the pain does not go away, then it is best to pay your doctor a visit.